Aggies Do It Better: Fall maroon and gold nails with OPI Thank Glogg it's Friday! 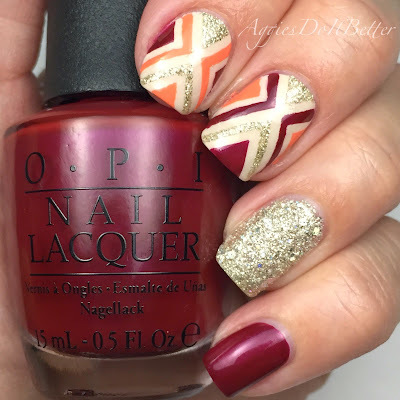 Fall maroon and gold nails with OPI Thank Glogg it's Friday! And it is Friday, how about that! haha! Today I have an awesome "x" design ( yes, I am preeety sure that's the technical term for this mani) with some of my favorite OPI's! I can't take any credit for this one, though. 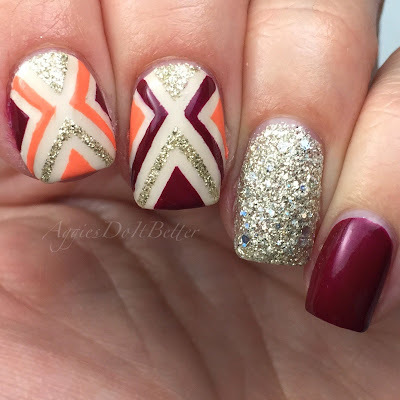 My good friend Gianna of Nailstorming.com came up with this for our little collab today! I'll try to keep this short and sweet for today-no rambling haha! 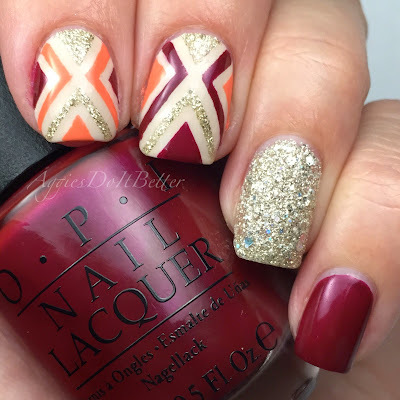 I loved this mani so much I decided to wear it for the rest of the week...I'm still wearing it now!